When I was an OT I used to get frustrated about a number of things relating to the knowledge base, product availability and service associated with seating, which eventually led to the decision to make my own chairs and later, to set up Seating Matters. When I started out, I made one chair at a time for each individual patient and I made sure it was the best I could offer them. This is still very true today - each person we meet is treated with care and respect and we are committed to providing the best chair we can for that individual. Every person matters at Seating Matters. We don’t just provide a chair and then disappear. 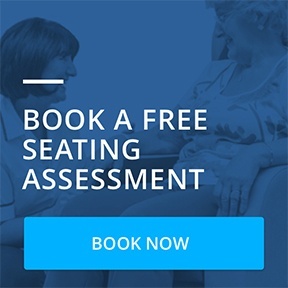 We are there for you providing free advice and support right through the process from the first free seating assessment to delivering and setting up the chair to your home or facility, and beyond. We are always there for the individual sitting in the chair to ensure they are comfortable, supported and getting the most benefit from the chair. If you ever need us we will be there, that is a personal guarantee. It’s important to me that the users of our chairs get the maximum clinical and functional benefits from them. In order to achieve this it is important firstly that the chair is set up 100% correctly to suit the patient. 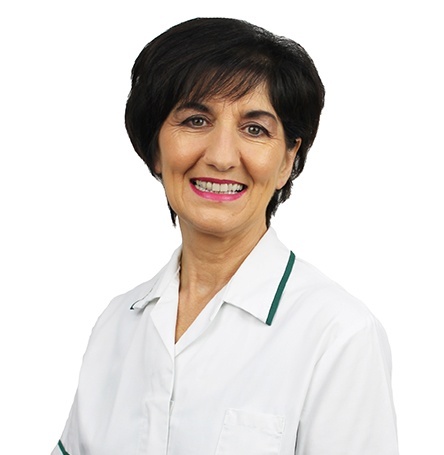 It critical then that the carers or family members are familiar and comfortable with making the necessary adjustments to the chair to keep their patients and loved ones as safe and as comfortable as possible. We want patients, families and carers to know they can call our Internal Seating Specialists for free advice and support at any time if they have any questions about their chair. All Internal Seating Specialists have been trained by myself and can talk you through any queries you may have, including making chair adjustments, even providing videos to help walk you through the process. For orders submitted through equipment service providers such as Medequip, Millbrook or NRS who order chairs for patients in hospitals and in the community we can manage this handover and set the chair up for no extra fee. All the Seating Specialists (you are hopefully familiar with your local one!) as well as Internal Seating Specialists have been fully trained by myself and are on hand to support you at any time. Free Lunch & Learn training sessions – suitable for multi-disciplinary teams in hospitals, outpatient clinics, community based care, residential care homes and more. Free Seating Assessments provided within 10 working days. Free chair trials (subject to availability in your area). Fast chair dispatch available within 3 days. Complimentary chair set up at home or in facility. 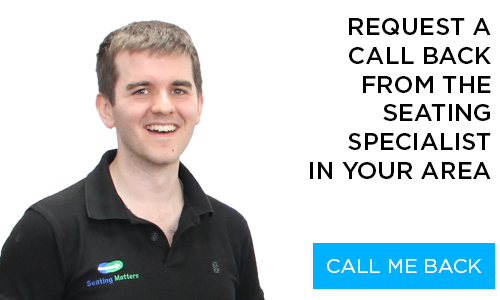 Instant support and advice via phone or email from our Internal Seating Specialists. Seating Matters chairs have a 3 week turnaround time from receipt of payment. If you require your chair sooner we have a Fast Track option which depending on which part of the world you are in can mean your chair would be dispatched within 24 hours or within a maximum of 3 days. It is important to us that anyone using our chair is supported, comfortable and safe at all times, call us if you ever have a question and our Internal Seating Specialist can help you immediately. 30 years of clinical experience in the design and manufacture of the seating. The tangible result of ethically approved clinical research trials, the only robust trials in the world, which was carried out with real patients, who had real symptoms, challenges and which created real results. The assurance of a clinical design – designed by an OT for patients. Unparalleled 7 year frame warranty. All essential clinical and high spec features as standard such as Dartex Multi Stretch material. There is always room to learn and grow. At Seating Matters we operate a culture of continuous improvement. We know there is still a gap in knowledge within the area of seating. Please don’t be afraid to admit that you don’t know something, or to ask for help because that is where you are going to learn and grow and provide better care for your patients. I am committed to providing free training as it’s important to get the message out there. The more people that know about the benefits of correct seating, the more of a positive impact we can have on the people that we serve every day. Seating Matters evolved out of the many frustrations I had with the area of seating in my early career as an OT and I’m proud now to be Clinical Director of a full service firm helping clinicians and patients across the world access the best seating based on real clinical evidence and providing the best service to accompany that. As part of my commitment to change the world of healthcare seating, I have set high standards which our products and service simply has to live up to. You can rest assured that when you need our help we'll be there. And I guarantee it personally. I always give my mobile phone number so that people can call me directly. If I can help you with issues regarding seating personally please give me a call - 07739596794. 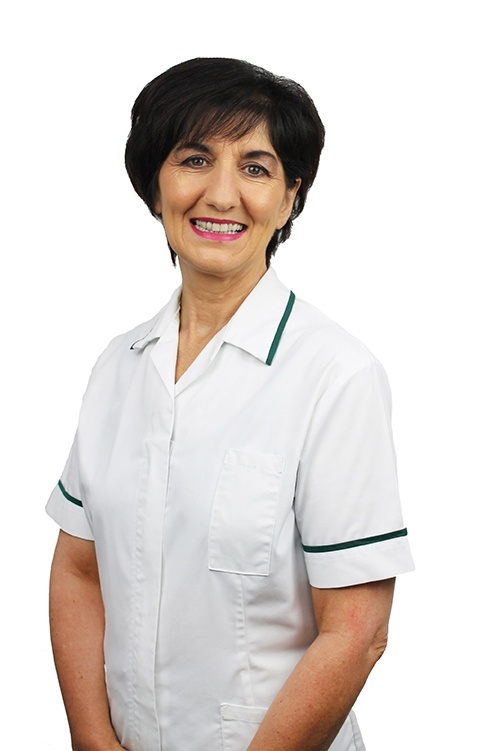 You can take confidence in the fact that clinical professionals such as nurses, physiotherapists and OTs will often choose Seating Matters chairs when their own family member is in need. *Unlimited call out covers warranty items and product faults. We cannot accept liability for human error. Support provided during normal weekday working hours. Possible exceptions for recycled stock.